Nokia has recently launched a new classic stylish cell phone, the Nokia 6208. 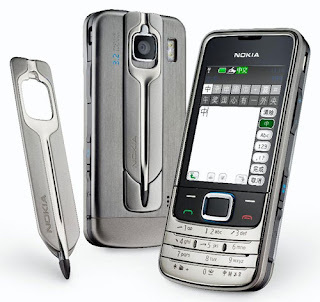 Nokia 6208 is an attractive and intelligent mobile which is loaded which high end feature that enables the users with easy writing and messaging capabilities. The phone features a high computing environment with user friendly interface. Nokia 6208 comes with an excellent bright TFT display screen of 2.4 inches with a resolution of 320 x 240 and it has a capacity of displaying upto 16.7 Million different colors. The amazing touch display screen allows the users to easily input data via key mat or pen input. Nokia 6208 has an amazing 3.2 mega pixel inbuilt camera for crisp clear high quality images. The camera of Nokia 6208 features 8 x digital zoom for close ups and distant photography. The dual LED flash lights up the clarity of images in cloudy weather conditions. The camera comes with brilliant features like auto white balance adjustment, full screen viewfinder, dedicated camera key, and landscape orientation, numerous types of capture modes, direct printing and sharing images. That’s not all! Nokia 6208 comes with bundles of other features like Video recording with 4 x digital zoom, amazing Nokia music player for playing mp3, AAC, eAAC and WMA files, integrated Virtual FM radio, high speed web browsing, Opera mini browser for a faster and safer browsing experience, Push to talk and push to email features for quick navigation, Bluetooth connectivity, Mobile Transfer Protocol Support, Support for 3G and 22 MB of built in memory which can be expanded up to 8 GB. Inspite of having such high computing features the Nokia 6208 is priced at Rs.12,000(INR) and weights only 120.1 grams!